Amasa Stone Chapel on Case Western Reserve University's campus is a gorgeous setting for a wedding ceremony. This bride and groom could barely contain their excitement during their intimate ceremony. 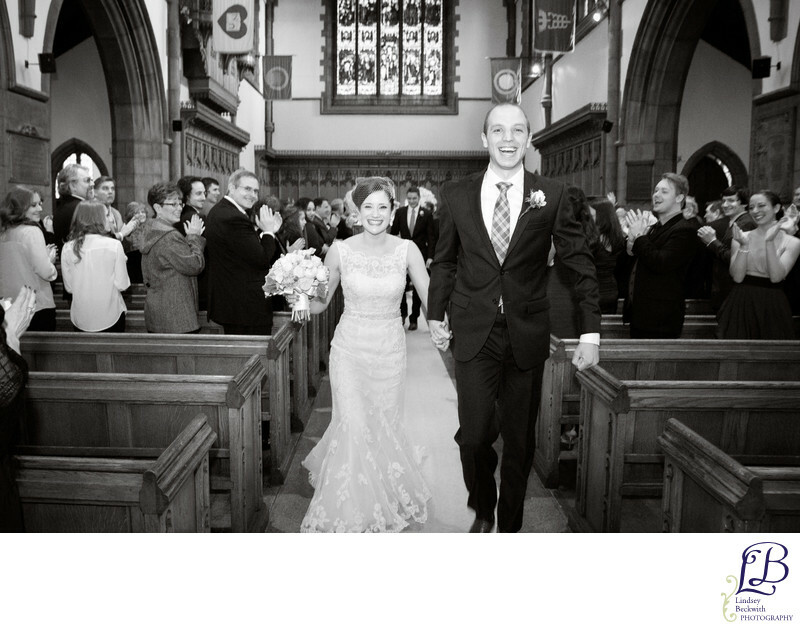 Once they walked back up the aisle as husband and wife, their happiness and joy overflowed. This is what I call The Moment After. The ceremony is finished. You're married. You're husband and wife. The relief, happiness, joy, love and tears, that I witness and capture as a Cleveland wedding photographer are translated into treasured images. This moment, The Moment After, is probably my favorite moment of every wedding. This happy bride and groom were photographed at Amasa Stone Chapel wedding, by Cleveland wedding photographer Lindsey Beckwith. Specializing in raw, intimate photography.